Happy Friday, y’all! With Friday, we bring you the ever beautiful “Postcard Friday” with equally as beautiful postcards. Why do you love Austin? 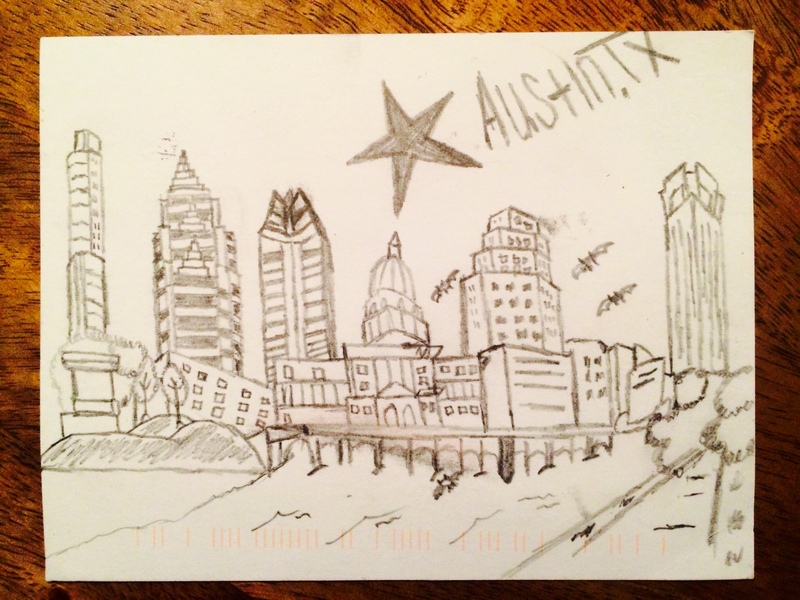 It is the first Friday of the month, so I get to announce a monthly postcard winner… congratulations, Victoria! I’ll be emailing you soon with the details. To view her card click here. Where can you pick up postcards?